If you’re looking to upgrade your tools for 2018, look no further! With summer on it’s way, you may be thinking about renovating your property, garden or even the shed that’s been neglected for a few too many years. That’s why the team at Mteevan are back to update our customers on the best power drills of 2017. 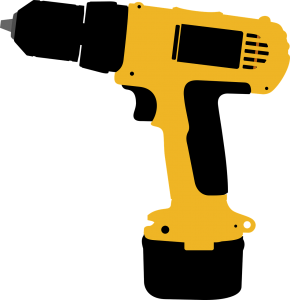 We’re all about ensuring that you have the tools necessary to make your property or project renovation the best it can be, and that starts with tools you can trust. Bosch have always been at the top of their game. Being one of the longest-running tool companies in Europe, Bosch have continued to design and supply quality machinery since 1886. The GBH 2-24 is able to make light work of tough jobs thanks to its fast drilling rate and high chiseling performance. With its powerful 790 watt motor and commendable 2.7 joules of IE (impact energy), this is one sturdy piece of kit. It’s the everyday workman’s drill. It’s reliable and with an incredibly long lifetime (thanks to Bosch’s engineering ethos), the GBH 2-24 is a drill you can call upon time and time again. Makita’s right angle drill (RAD) is designed to help you target those awkward corners and/or studs. It’s fitted with both high and low gears, making it great for drilling into stubborn materials such as hardwood and metals. The Makita RAD include a built-in lock-on button, which is ideal for those who are looking to drill on a locked speed and/or setting. Additionally, the RAD is fitted with a 13mm keyless chuck and a D-shaped handle specifically designed for stability and control. What separates the DA4000 from the rest of the drills on our list is that it’s drill head is able to rotate to any angle. This allows you to fit the drill into those tight and hard to reach areas and angles. This also saves you from damaging the head of a traditional drill and from breaking and screws or nails mid-drill. It also includes enhanced gears for heavier, industrial uses and is complemented by a soft grip for comfort, control and handling. While the PSB 1800 might seem smaller in contrast to the GBH 2-24, it packs quite a punch for its size! It incorporates a two-speed gearbox, a quick charger a lightweight frame and 20 settings for torque, drill and impact drill. That’s a lot of settings for such a small drill! Similarly, unlike other drills, the PSB 1800 doesn’t compromise it’s performance on certain settings, instead, every function operates incredibly well. It makes easy work drilling into both wood and metal surfaces as well as fitting light fixtures. 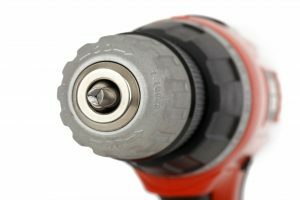 If you’re looking for a drill under £200 that’s able to break through tough surfaces, the XR is the drill for you. Like the PSB 1800, the XR is surprisingly tough for its size, weighing a mere 3kg. Its lightweight portability doesn’t mean that it can’t pack the punch of a corded SDS, in fact, it holds its own very, very well. This might not be the drill for the everyday workman’s shed, because it is slightly pricier than other SDS models. However, with low vibration levels and a useful hammer-only mode (which you won’t find on cheaper models), it’s definitely worth the extra cash. And that concludes our list! Are there any drills that we missed from our list? Maybe you’ve experienced better results with a drill that isn’t featured? If so, let us know and we’ll add it to our blog! Similarly, if you’re looking to hire power tools at great prices, why not give Mteevanhire a call today? We stock everything from SDS drills to diggers, so have a browse here to see what we can offer you.